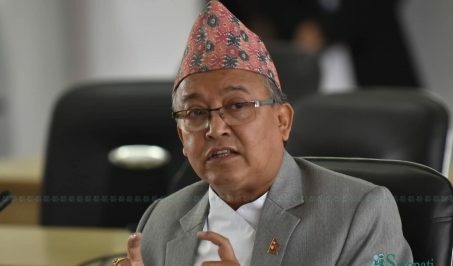 Minister for Labor, Employment and Social Security Gokarna Bista has asserted that action will be taken against those organizations not giving the basic salary to their employees as determined by the government. Inaugurating the 5th national conference of the UNI APRO Nepal Liaison Council Conference here today, Minister Bista pledged that the government would be focused to enable environment where the laborers would get basic salary and social security. He said the government would expand the scope of the social security to incorporate the laborers in the informal sector, stressing the need to streamline the banks and financial institutions (BFIs) as well as insurance companies. Furthermore, the Minister said that the social security scheme would also incorporate the labourers working in the BFIs sector. Nepal Trade Union Congress vice-president Tejendra Jung Karki spoke of the need of organizing the workers in the service sector and urged the labor unions to guarantee their rights. FES director for Nepal, Annette Schlicht stressed on uniting the unorganized workers in the service sector through their organization. FES has been conducting a campaign for social democracy across the world. Regional coordinator of the Netherlands Trade Union Federation Prabhu Rajendra also spoke on the need of organizing the unorganized workers by making them skilled in the new technology as well. Council vice-president Mahendra Shrestha drew attention toward the possibility of technology eating away the workers’ job, calling on the workers also to be updated on the developing technology. More than 200 representatives and observers affiliated to the trade unions related to various service sectors are participating in the conference.